Well look at you! You’ve done it again…. haven’t you, Mr. Market? On countless past occasions you’ve managed to fool not only the average emotionally driven investor but also the seasoned professional. Now you’re doing it again with an area of the market that has fooled everyone; not just this year but for decades! Investing in real estate may not seem like something you need to do within your standard “stock and bond” portfolio. Some may argue that your house is enough exposure to real estate and for most individuals it’s their largest investment so it should suffice. Your home is actually considered a “consumption good” instead of a pure investment. Although it’s likely to appreciate over time you will not receive income from it, it most likely has a mortgage attached to it, and if you need to sell 10% of it tomorrow you’re out of luck. Additionally there are many areas within real estate aside from what’s happening on your residential street. 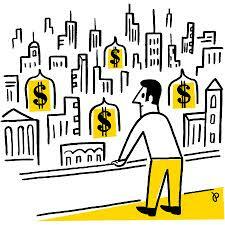 Commercial real estate, for example, makes up about 13% of the U.S. economy. Understand the Herd…don’t follow it! It is human nature to want to fit in or be part of the crowd. We all like to feel that we belong to a group and are not isolated. Take a moment and go back to your youth…everyone can remember a situation when someone asked us if we did something, “just because everyone else was doing it?” Another favorite that is asked of children and teens is, “would you jump off a cliff if everyone else was doing it?” Investors don’t often ask themselves these questions but as the markets have now crossed into negative territory and volatility is present they certainly should be before rushing into any decisions. 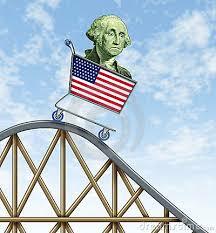 Currency Markets: Not the Roller-coaster you think it is! You’ve taken equity investors on a roller coaster ride this year with the Dow Jones now delivering negative returns year to date. 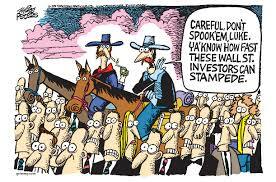 Investors have been scrambling to find where to invest their money as they move out of equities. The fixed income markets remain an area of doubt as interest rates are near rock bottom levels and fear of rate hikes from the Fed continue to run rampant. With all these variables and negativity in the market where should investors consider looking to invest their cash? 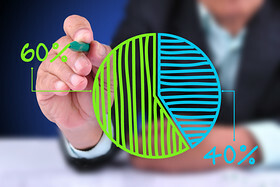 We’ve discussed ‘Alternatives’ before and how they warrant a place in a diversified portfolio. Often investors become a bit skeptical when they hear the term Alternative Investment as thoughts of hedge funds and ‘ponzi schemes’ come to mind. With new regulations and monitoring in place investors can feel confident when they consider adding these types of investments to their portfolios. The investments that typically come to mind when looking at this asset class are: real estate, commodities, futures and hedge funds. Today will take a look at one component of alternative investments that is often overlooked but investors interact with everyday– the dollar or currency markets in general.